Online marketing is influenced by a number of tightly interconnected factors, one of the most important of which is the development and popularization of new technology. We take for granted many of the new technologies that have revolutionized our industry—such as social media platforms, or even reaching back to radio and television—but these are only the beginning. There will always be new technologies on the horizon, ready to change the industry in new and exciting ways, and it’s hard not to wonder about how they’ll impact our work. Speaking of the virtual world, AR may only be the beginning; virtual reality (VR) is even more immerse, completely generating a digital reality for willing participants. Sales for the landmark Oculus Rift device are projected to exceed $2 billion by the end of the year, and though we haven’t yet seen any truly revolutionary functions for the technology (or people wandering around aimlessly with headset attached to their faces), it’s poised for a significant takeoff in the next few years. 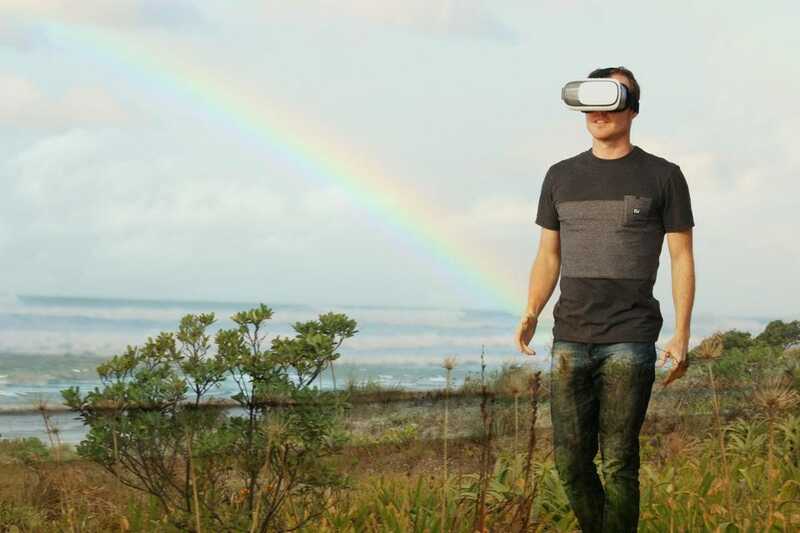 Advertisements and messages can now occupy a completely immersive realm, and online shopping could be dramatically reimagined with VR capabilities. Personal digital assistants have gone from being an inside joke among smartphone owners to a reliable means of finding information and performing functions for users all over the world. Siri and Cortana are just two landmark examples of AI systems capable of communicating with users. So far, they’ve already begun to reshape the landscape of search as users have started relying on voice-based queries and more immediate, generalized results that extend both to the web and on-device content. Now, they’re starting to make their way to more home-based devices like Amazon’s Alexa, and they’re only going to develop further from here. Google made headlines last year when it announced the deployment of RankBrain, an algorithmic modification working in conjunction to the Hummingbird update, which works to better understand the semantics of user queries and produce search results that cater to a user’s perceived needs. What makes RankBrain special is the fact that it’s a self-updating machine learning algorithm, capable of gathering and interpreting information about its own functionality and improving itself over time. This could open the door to a bevy of new developments, increasing the pace and complicating the nature of future technological breakthroughs. “Big data” has been a buzzword for a few years now, but it’s still an important concept in the business realm. We now have access to insane amounts of consumer data, giving us hypothetical access to significant insights about consumer behavior, subsequently leading to better marketing campaigns. But having that data isn’t enough to form those meaningful insights. Instead, we need a means of simplifying, presenting, and automatically interpreting that information—and that’s where data visualization comes in. there’s a danger in allowing a simplification to define our paths forward, but this could be a powerful tool for marketers everywhere. We’re also seeing a rise in marketing automation technology, from platforms that allow the scheduling and syndication of social media posts to software programs that can write content from scratch (and sound like a human wrote it). These developments are making marketing jobs easier, more straightforward, and more cost efficient, but there’s also a major potential drawback; relying too much on automation could rob you of your creativity, resulting in non-engaging, flat campaigns that alienate your audience. 7. The Internet of Things (IoT). Finally, there’s the Internet of Things, the term for all the Internet-capable, interconnected devices we’re bringing into our homes such as smart ovens, smart TVs, and appliances that can be remotely programmed and integrated into the same overall system. This technology is convenient for consumers looking to manage all their devices in one location, but it could be just as important to marketers trying to communicate with those consumers. Imagine being able to advertise a product as consumers are using a similar product, or communicating with consumers immediately within their homes. Keep these promising new technologies in mind as you develop and refine your online marketing strategies, however they’re currently manifesting. It’s hard to say exactly what effects they’ll have; some may yield countless new opportunities for marketers, while others may needlessly complicate our efforts. Some may stick around for many years, until we take it for granted like older communications technologies today, while others may fizzle out as temporary fads that never truly caught on. Only time will tell, and you’ll need to be prepared for anything to have the best chances for success. Like most years, 2017 was full of change for developers. But for some ecosystems, the year was extremely busy. Heck, even C++ (a language that has updated its standard only three times since 1998) released a new standard version in 2017. This never-ending churn is why it’s important to review the major changes from the past year and get a sense of what’s coming down the pike. “Evolutionary architecture and automation of architectural governance and analysis are going to be a major focus for software firms in 2018,” said Mark Richards, author of Software Architecture Patterns. To get up to date on the latest software architecture trends, he recommends reading Neal Ford’s Building Evolutionary Architectures. … it qualifies as evolutionary architecture. It doesn’t have to be microservices. As for the evolution of microservices, many organizations have already figured out how to make them, Richards said, but data distribution is still a difficult aspect of breaking down a monolithic architecture, and there’s no easy way around that. Bradley Holt, developer advocate and senior engineer at IBM, said 2018 is the year that serverless will gain a foothold with developers. “Functions as a service (FaaS) allowed developers to compose applications and services from fine-grained components with the ability to scale capacity and cost based on demand,” he said. As the number of serverless and FaaS resources and conferences grows, so will developer interest. As it stands, AWS Lambda is the go-to serverless platform for most developers. And even though serverless technology is still new, AWS will continue to dominate the serverless space for 2018, just as it dominates in other cloud infrastructure areas. Richards agreed that “data science is everywhere now,” as evidenced by the growth of R (a statistical programming language) and Python’s data science libraries in 2017. That growth will continue into 2018, driven by the hype around artificial intelligence (AI). Martijn Verburg, a leader of the London Java Community, said 2017 was a monumental year in Java’s evolution. With Java SE moving to a six-month release cycle, Oracle’s JDK components migrating to the open-source OpenJDK, and Java EE moving to Eclipse, Java will only get better, Verburg said. “We’re going to see Java SE released more often, with more features.” And because OpenJDK will be the same as Oracle’s JDK, developers won’t face licensing issues. These changes come in the wake of a major controversy that happened last year when a majority of the Java Community Process executive committee voted against Project Jigsaw, a proposed implementation of Java modules. Verburg and others worried that Jigsaw would harm the industry, so they asked for modifications. “Mark Reinhold and Oracle—to their credit—listened to us and made the changes,” said Verburg, and the new proposal passed. Shortly after that, Oracle proposed that the OpenJDK move to twice-yearly releases for new Java versions, a measure the community welcomed. Slow releases—often taking a year or more to complete—were a common criticism of Java. So this year, the community may see fewer posts arguing that Java is dead. Oracle’s donation of Java Enterprise Edition (Java EE) to the open-source Eclipse Foundation, which Eclipse renamed EE4J, was another huge change for Java in 2017. The Eclipse Foundation also launched micro-profile, a platform definition that optimizes EE4J for microservices. Together, EE4J and MicroProfile will enhance traditional Java EE APIs in 2018, turning them into cloud-, asynchronous-, and microservice-compatible APIs, while following a semi-standardized process. The MicroProfile community doesn’t want to take a hard standards approach, according to its website, because that would slow down innovation. Instead, it wants to allow projects within MicroProfile to innovate and consider standardization only when contributors agree on approaches. MicroProfile should help more enterprise Java developers move to microservices—specifically, those who still prefer Java EE/EE4J implementations (for example, CDI) over Spring framework ones (like Spring DI). But developers who don’t mind using the Spring ecosystem can use Spring Boot, a microservice-building framework that has been available to Java developers for several years. Last year, Verburg predicted that Java 9 wouldn’t have as much impact as Java 8, and so far that has indeed been what happened. Java 9 comes with big changes that could be slowing adoption since it forces developers to update some of their applications in order to use the module system. The more frequent language releases coming in 2018 are another reason adoption has been slow. Since Java updates now come twice a year, some teams may decide to skip a few versions before catching up. JEP 286: Local-Variable Type Inference—This represents a massive improvement in how developers use switch statements, an instance of operators, and so on. It will make Java code clearer and more concise. JEP 296: Consolidate the JDK Forest into a Single Repository—Eases OpenJDK development. JEP 304: Garbage-Collector Interface—Makes it easier for Shenandoah and other garbage collection improvements to come into the platform. JEP 307: Parallel Full GC for G1—A much-needed performance boost for garbage collection. JEP 310: Application Class-Data Sharing—Another performance-enhancing feature. JEP 312: Thread-Local Handshakes—A precursor to a lot of interesting optimizations around performance. JEP 313: Remove the Native-Header Generation Tool (java)—Removes the javah tool because javac, which serves a similar purpose, has superior functionality. JEP 314: Additional Unicode Language-Tag Extensions—Implements more of the Unicode extensions specified in the latest Unicode Locale Data Markup Language (LDML) specification, in the relevant JDK classes. JEP 316: Heap Allocation on Alternative Memory Devices—Extends where Java can run. JEP 317: Experimental Java-Based JIT Compiler—Preparation for the Graal project, which will make it feasible to write a programmable, optimizable runtime in Java. JEP 319: Root Certificates—Enhances security. JEP 322: Time-Based Release Versioning—Moves Java back to a sensible versioning scheme. As for Java 11, expected before the end of the year, OpenJDK developers haven’t confirmed any features. But Verburg thinksOpenJDK developers will begin building the foundations for introducing value types in Java 11. As predicted, the Kotlin programming language took off last year. Since becoming an official language for Android apps at Google I/O, its use among Android developers has grown significantly. Android developer and TechBeacon contributor Aritra Roy expects Kotlin to continue gaining traction in 2018. “There is a lot of official documentation that is still in Java, which will slowly start getting converted to Kotlin,” he said. He also expects Google to invest more resources in the Architecture Components library. “The ECMAScript 8th edition [ES2017] release didn’t contain many big new features [watch the full overview here]. The main feature was async/await, the next evolution of Promises,” he said. The release also includes a few small additions to the API, such as new functions. Need to catch up on other major changes in front-end development in 2017? Huffine provides a great recap here. Node.js continues to stay on track, with twice-yearly releases, including one long-term service release annually. That’s a big benefit for enterprise adopters. Node is keeping up with most of the features in ES2017, and the Node.js package manager (NPM) has had many updates. In 2016, Facebook released its Yarn Node.js package manager, which was so good it threatened to usurp NPM in popularity. At the time, Lewis thought that NPM wouldn’t get pushed aside, but instead would adopt Yarn’s best features. It turns out he was right. In 2017, NPM released a major update that gave it parity with most of Yarn’s features. It wasn’t all rainbows and unicorns for Node.js last year. As serverless platforms built on Node.js have become more popular, keeping up with regular security patches has become even more critical for cloud service providers. “As Node.js spreads to different corners of the web, upgrading becomes difficult,” said Lewis. “A perfect example is the embedded Node.js engines on serverless function services like AWS Lambda and Google Cloud Functions.” Your cloud service provider must upgrade those Node.js versions when new security flaws are found, and they might not always do that so quickly. “Google upgraded its Node.js version for Cloud Functions within a week after the most severe vulnerabilities came to light last year, but Amazon took months,” he said. Also, Node.js community issues resulted in the dissolution of the Node.js Core Technical Committee (CTC) in 2017. “This resulted in some bad blood in the community, but also some positive results,” Lewis said. “The moderation team has been formed, which I’m the temporary chair of, and we’ve been working to clarify and standardize how moderation activities occur.” The goal, he said, is to ensure that the Node.js community is a safe space for everyone to discuss technology and contribute to the platform. Node.js will see two new releases in 2018: 10 LTS and 11. Lewis doesn’t expect many new features, but plenty of performance improvements will come from the continuing improvements to V8. But despite these successes, the reigning front-end framework had a crisis last year when the Apache Software Foundation put React and other Facebook-produced software on a list of projects it didn’t consider open source due to the licensing models. Others in the open-source community agreed with Apache, and Facebook decided to remove the contentious clauses from its licenses. React is now well positioned to dominate in 2018 and beyond, and Rauschmeyer is bullish about other web development technologies coming out of Facebook as well. Finding companies you trust to handle security concerns that affect you will be a critical challenge. Having found that public pressure works, even on tech giants such as Facebook and Google, the developer community will put more pressure on organizations that aren’t creating an inclusive environment. More organizations will be investigating whether data science and machine learning can help their business, and you should too. Developers will find more even ways to benefit from using serverless platforms. What are the trends that will most affect you or your development team in 2018? Post your thoughts below. Something that was all the rage last year, might not even be talked about now. Things change and fade away rapidly—all because of advancements in technology. This also is seen in trends for software development as well. The year 2017 witnessed some great breakthroughs in this field and 2018 has already whispered the emergence of trends in software development ranging from cryptocurrency, augmented, virtual and mixed reality to oil rigs, mobile computing, artificial intelligence, and blockchain. Do not get confused it with astrological findings. Blockchain is the technology that has shined in 2017 because of the Bitcoin hype. It is believed that blockchain will revolutionize nearly every industry and more companies are considering blockchain development and blockchain-related services every day. Blockchain is a network of interconnected peer-to-peer devices. This technology provides for the absence of central computers, as well as the lack of clearly defined locations where all data is stored. The technology is revolutionizing the financial services industry by empowering millions across the globe to authenticate and transact large-scale, non-cash transactions immediately and without costly intermediaries. The implementation and acceptance will also be witnessed in other, broader fields such as administration, healthcare and supply chain to streamline processes. IBM is a leader and already has been building relationships with banks, food distributors, and government regulatory agencies to use blockchain for financial transactions. Other technology giants, like Microsoft, Oracle, and Amazon, are stepping up to introduce exclusive blockchain platforms. This means that businesses will need software applications that support blockchain and their demand for blockchain developers is going rise. The year 2018 will be a gold rush for developers who devote themselves to this demand and many of them will end up a lot richer. In 2017, PWAs were a part of Gartner’s software technology trends and in 2018, there are reasons to believe the growth of web-based solutions will grow even more. Web apps will contribute to a significant share of the market as compared to mobile apps in the long term. Even Google started focusing on features in its browser to allow web apps to work like mobile apps, giving the same level of user experience. Progressive web apps are easier to develop and maintain than regular mobile apps. In addition, they offer the best features of the web and mobile app combined. Companies involved in e-commerce, entertainment, healthcare, banking and more are having web apps developed to provide better accessibility to the masses. The IoT ecosystem is huge and wearables like Android Wear, Apple Watch, and Fitbit were just the initial spark. Soon, everything from driverless cars and roads to home appliances, communication devices, and business processes will become always connected, collecting enormous amounts of data. Be it fitness and healthcare to manufacturing and retail, everyone is quite excited about the possibilities that Internet of Things will present. Thus, it demands vigilance of software developers to allow them to figure out how to best program devices that will assist the users in controlling them. These developers will be focusing on developing applications that allow for seamless controlling of devices from anywhere and at any time. As of now, it is estimated that more than 40% of businesses have adopted Artificial Intelligence in automating their processes. They are integrating AI-driven solutions to perform specific tasks to stay ahead in the competition and provide a better service experience for their customers. From voice-activated home assistants, Smartphones, Big Data, and Insight-as-a-Service, companies developing frameworks to perform more tasks with the help of these are going to make it big in 2018. Google, Facebook, and Slack are leading the development of AI. Google is even focusing on plans to base all its algorithms on this technology. In addition, AI is bound to become more intelligent in decision-making abilities and that will have consequences that are hard to roll back. Future-enthusiasts, like Elon Musk and world leaders like Vladimir Putin, believe Artificial Intelligence has the power to change the world in both good and bad ways. For positive-thinkers, the intelligence and capabilities of AI is going to make this world a better place, inducing comfort in people’s lives and saving time. In simple words, Mixed Reality (MR), is sometimes referred to as hybrid reality in the merging of real and virtual worlds to produce new environments and visualizations where physical and digital objects co-exist and interact in real time. Mixed reality takes place not only in the physical world or in the virtual world, but is a mix of reality and virtual reality, encompassing both augmented reality and augmented virtuality via immersive technology. In 2018, different businesses are exploring the possibilities of building immersive experience for passing a huge amount of information to the users to benefit their everyday life for communications, entertainment, and productivity. Mixed Reality has immense potential. As a result, it is being integrated in a large scale in newly-created web and mobile apps where customer’s interactions with products or services are an important aspect for a successful business. For example, e-commerce stores can allow their customers to view apparel on virtual mannequins or those involved in home improvements can design their houses virtually with furniture, colors, and flooring and see the exterior look before making a purchase. 3D mapping and Mixed Reality is also used in educational programs and AR games. These are just few that are carrying the legacy forward since their inception. There are even more of them that need to be addressed in separate ways. We will see new trends in software development in 2018 as these develop further. It’s probably smart to choose a tool that is meant for team communications, and leave phone calls for urgent matters, consumer apps for personal life. So you may consider using a team chat app, like simpliv. Unlike other team chat applications, simpliv is an open network and integrates well with email. It’s a vast open network that allows you to contact anyone, anywhere regardless of what device they have! You can also give out tasks – being clear on everyone’s job and pin important messages that they need to remember. You can even work and organize your contacts into project teams for easier collaboration and discussion. It gives you and your team members the power to make communication easier and less stressful. When communication issuesrise (as they most certainly will), strive to address them immediately. Have the team leader or other decision-maker serve as the mediator. The first step in addressing such issues is to evaluate if any rule has been broken. Be clear on what your system is for resolving issues, and make sure everyone involved in the issue comes to an amicable resolution. Want to communicate with your team easily? Sign up for simpliv now! Many are technical in nature. Ever-advancing technology has opened up a wide variety of new and evolving roles, so many of the most promising professions require knowing and staying up to date with the latest digital innovations. However, not all jobs that are seeing growth or projected to grow in the foreseeable future necessitate being a tech wiz. Some involve knowing only specific software and hardware relevant to your duties — which is a best practice in the digital age no matter what you do for a living. Here are 12 of the jobs our data show as having some of the greatest long-term potential, including their salaries from our Robert Half Salary Guides. Mobile development continues to generate traction across industries. And as more businesses rely on mobile technology to reach customers, demand for mobile applications developers will continue to increase. These professionals are in the driver’s seat when it comes to designing and recommending enhancements to smartphone- and tablet-based software. They work on new deployments, app coding, testing and debugging. The midpoint salary for a mobile app developer is $141,000, and the outlook is bright. The U.S. Bureau of Labor Statistics (BLS) reports hiring for software developers is projected to increase 24 percent by 2026 — much faster than the average rate of growth across all professions. While the collection of data can be automated, the translation, analysis and ability to make business recommendations based off the data is in high demand from employers. As the Internet of Things (IoT) grows and more devices and sensors become interconnected, the volume of available data is only going to expand. To help manage and derive value from it, businesses need skilled data architects who can translate information into specific database solutions. Data architects need analytical and creative skills, plus in-depth knowledge of data systems and database methodology. They need to communicate effectively, plan and coordinate data resources, and translate business requirements into database solutions. Familiarity with Oracle, Microsoft SQL servers and other systems — like Unix, Linux, Solaris and Microsoft Windows — is essential. Data architect jobs are plentiful across the nation, particularly in tech hubs like Austin, Texas; New York; San Francisco; and Seattle. The midpoint salary for a data architect is $130,000. User experience (UX) designers are responsible for how a product or website feels. Their job is to zero in on users’ underlying emotional and functional needs and help create an enjoyable digital experience based on those discoveries. UX designers conduct usability testing and consult with clients to understand their goals and intentions. The growth of mobile and web development leads to continued demand for this role. Cities like Austin, New York, San Francisco and Seattle have particularly active markets. Today, the midpoint salary for a UX designer is around $93,000 — and it’s likely to rise in the future. Digital strategists identify digital marketing strategies and campaigns for meeting a company’s or client’s goals. To succeed in this role, you must be knowledgeable about web analytics and optimization, search engine optimization and search engine marketing, and customer relationship management software. You also need an in-depth understanding of traditional marketing methods. Digital strategists also inform various stakeholders about progress, benchmarks and overall success of digital marketing initiatives, so good communication skills are a must. Job prospects for this position are strong. As more companies reach customers through digital channels, hiring for the role continues to expand. The current midpoint salary is $91,250. Companies have embraced the use of big data analysis, which has increased their activities in data mining and reporting. As a result, the need for business intelligence analysts has grown exponentially. This job involves turning raw data into actionable insights and developing reporting solutions that work across the organization. People who succeed in this role have solid analytical, troubleshooting and problem-solving skills, along with proficiency with using business intelligence, data mining and Excel pivot table tools to analyze data. An education in finance, business or information systems is typically required. Relaying results and making recommendations to senior management necessitates high-level communication skills. The current midpoint salary for a senior business intelligence analyst is $91,000, but due to the high demand for the role, employers may be willing to pay more for candidates who have additional qualifications, such as the CPA certification or specific industry expertise. Systems analysts help business and IT teams find technical solutions to business problems. They play a central role in the planning and execution of projects, and they may serve as a liaison between IT and end users. Duties include analyzing hardware and software issues, writing and maintaining systems documentation, and translating user and system requirements into functional technical specifications. Hiring for systems analysts is projected to increase 9 percent by 2026, according to the BLS, largely because of the rapid adoption of cloud computing and the rising use of IT services in the health field. Currently, systems analysts earn a midpoint salary of $91,000. There is strong demand for digital marketing managers across North America, especially in Charlotte, North Carolina; Cleveland; Houston; Minneapolis; Philadelphia; and San Francisco. Professionals in this role develop, implement and oversee digital marketing campaigns that promote a company and its products or services. They enhance brand awareness within the digital space and drive website traffic, sales and leads. Strong digital marketing managers have technical and analytical skills and experience in marketing research and analysis, campaign strategy, and web analytics. The midpoint salary is $80,000. Working under the direction of the compliance manager, a compliance analyst in the legal field assists in the development of risk controls and works with the compliance administration team to implement internal procedures, processes and programs. People seeking this career should have a post-secondary degree and four-plus years of compliance and audit experience in a relevant field. Due to frequently changing regulatory mandates and increasingly strict enforcement, the practice area is expected to continue to grow. Compliance analysts are in high demand in the legal profession, especially those who are familiar with industry software programs and possess strong organizational and communication skills. Candidates with four to six years of experience can expect average salaries at a midpoint of $72,250. Business analysts bridge the gap between business and IT. They determine business unit needs and plan, implement and improve business information systems across multiple departments, ensuring business data and reporting needs are met. Companies hire for this role when they want to act on business intelligence and make data-driven decisions. People with experience in financial analysis, data flow analysis and project management are strong candidates. These jobs are in high demand, especially in San Francisco and Minneapolis, and it can be difficult to fill these positions across industries. Previously considered a subset of general business skills, business analytics is a field with space to build a lucrative career thanks to explosive growth since it came into its own. Business analysts with one to three years of experience can expect to earn a starting salary around $67,000. Litigation is expected to yield the greatest number of jobs in the legal field over the next two years, according to the 2018 Robert Half Legal Salary Guide, driving demand for lawyers and paralegals with litigation support and eDiscovery backgrounds. Employers typically seek litigation support/eDiscovery analysts with a juris doctor or bachelor’s degree and proficiency in the latest industry software. Strong project management abilities, attention to detail and interpersonal skills are needed to support litigation matters and liaise with external firms and service providers. The midpoint salary for a candidate with one to two years of experience is $61,500. Hiring for this position should increase as law firms and companies focus on keeping pace with technological advancements, federal rulings and new regulations. In the healthcare field, member services managers are responsible for the quality assurance of the organization. They supervise other customer service staff, who answer inquiries from providers and members about coverage, claims, benefits and other issues. Stellar communication skills are a must, as well as the ability to maintain confidentiality and demonstrate leadership. The midpoint salary for member services/enrollment managers is $55,000. These professionals direct a team of customer service specialists and help resolve escalated or difficult issues regarding customer complaints and other problems. They evaluate overall team performance and work closely with managers in other departments. The customer service industry continues to grow — particularly the call center sector — making these jobs especially sought after. Overall, employment in the customer service sector is expected to increase 5 percent by 2026. Plus, companies will need supervisors and managers to direct the new teams. Excellent communication skills are an absolute must. Currently, the midpoint salary for a customer service manager is $44,000. Are you trying to forecast your future career? Download the 2018 Robert Half Salary Guide to learn more about compensation and hiring trends in your industry. Technology is all around us and it influences the way we live and work. Take a loom at the technology trends of 2018 that will also extend to the future. Artificial Intelligence or AI and its subset machine learning are subtly but irrevocably influencing technology. Machine learning is making great progress. Witness the rise of Tensor Flow, Google’s second-generation system for machine learning based on deep learning neural networks. These networks carry out operations on multi-dimensional data arrays known as tensors and Google has even built a tensor processing unit for machine learning to take advantage of Tensor Flow. Among its various applications are search queries where it can supplement or replace static algorithm-based search results. It can be applied to video, images, sound and voice for increased accuracy. For instance, chat-bots can recognize sentences or automatically translate languages. Bitcoin brought block chain into the limelight and this technology now finds greater adoption in business for data encryption and verification with higher security. Smart bonds and smart contracts using block chain technology enable automatic payment to holders of bonds and for contracts to self-execute. Brokers find it useful as do insurance companies for claims processing. Car keys, smart-phones and real estate transactions are just a few examples where cryptography offers higher levels of security. It is a connected world with the Internet of Things linking together devices and people. One of the most visible areas is smart homes where you have air conditioners, light, fridge and heaters as well as audio-visual equipment’s connected together through sensors. It just needs a smart-phone to program and control these equipment’s. IoT has even greater use in industry to link machines to centralized control equipment’s for monitoring performance. It is present in health care services, in automobiles and in wearables. IoT in smart cities will help in energy management, pollution reduction, security and communication as well as better transportation. A future without IoT is just unthinkable and industries that adapt it sooner will find themselves ahead in the race. Bitcoin’s rise has sparked an interest in cryptocurrency. Cryptocurrency is gaining traction as a mode of payment on various platforms and trading has also increased significantly in recent times. Tim Draper, a venture capitalist, has written a book and predicts that Bitcoin is likely to increase in value to USD 250000 by the year 2022. He expects cryptocurrency may replace credit cards and actual currency. This should further spur investor interest in cryptocurrency. Whether governments like it or not, cryptocurrencies are here to stay. There are terabytes of data flowing across the internet and deriving useful insights from big data can be extremely beneficial and it is also quite complex. Data mining does present challenges but with artificial intelligence and requisite hardware, data mining will make progress in the time to come. It is not just text where data mining will shine. Data mining extracts data from multimedia and from mobile devices to glean information about individual users. 4G LTE which is currently the latest technology may be supplanted by 5G by 2019. It is 10 times faster than 4g and it could change the way content is streamed and how businesses operate. Self-driving cars will no longer remain only in concept but could become a routine thing one sees on roads. With 5G they can detect obstacles and follow maps as well as communicate with other cars. 5G will impact smart cities as well as internet of things. With 5G in place, AR and VR will work smoothly and entertainment as well as shopping will reach new levels. The ubiquitous smart phone could be seen as a point of convergence of diverse technologies since it can be used as a controller, as an information center and as interactive devices for communication and remote operation. Enterprises will likely make greater use of mobile workforces using mobile devices for interaction. Greater use of mobiles will naturally lead to micro moments that marketers will leverage to deliver personalized messages. SaaS is nothing new. It has been around for years, but we could see a decided shift towards it in the future as developers focus more on offering hosted services instead of licensed versions of software. Ecommerce is growing and there is no saying when it will plateau. Technologies such as AR and VR will give it a fillip since buyers of products can actually visualize the product in their home setting or run a demo before they buy. Technology, in a world is becoming more sophisticated. Traditional developers will need to upgrade themselves and companies that want cutting edge solutions will look for developers with capabilities in IoT, VR and artificial intelligence.